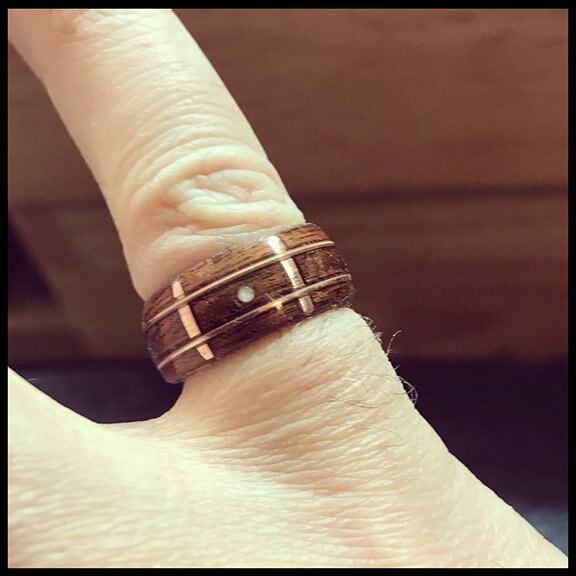 This gorgeous wood ring is made from the same quality materials as the finest guitars. Made with Brazilian Rosewood with a Cherry lining, 3 real Mother of pearl fret dot inlays, Copper frets and 2 guitar strings. Perfect for the musician or someone looking for an interesting story piece. This item is handmade to your size. This is available in an 8mm or 10mm width band with good weight and comfortable fit. 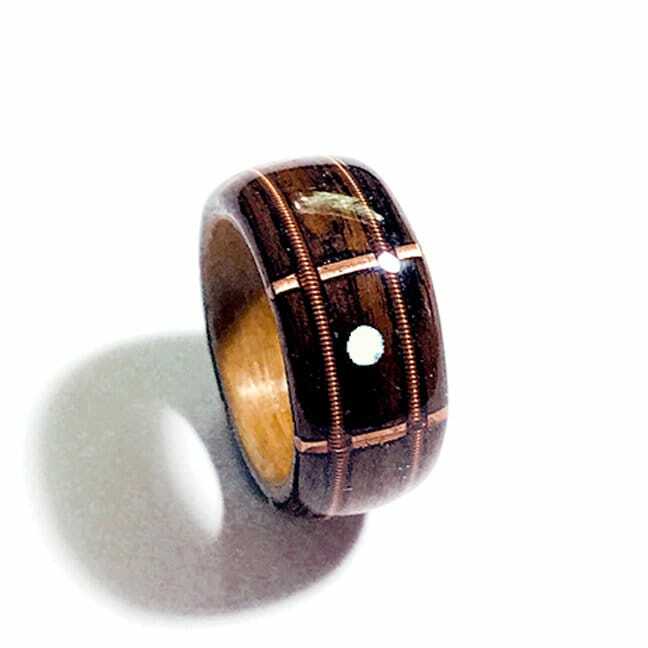 Each ring is made in the bentwood style and made to your ring size using a jeweler's mandrill. The wood is then shaped and polished. 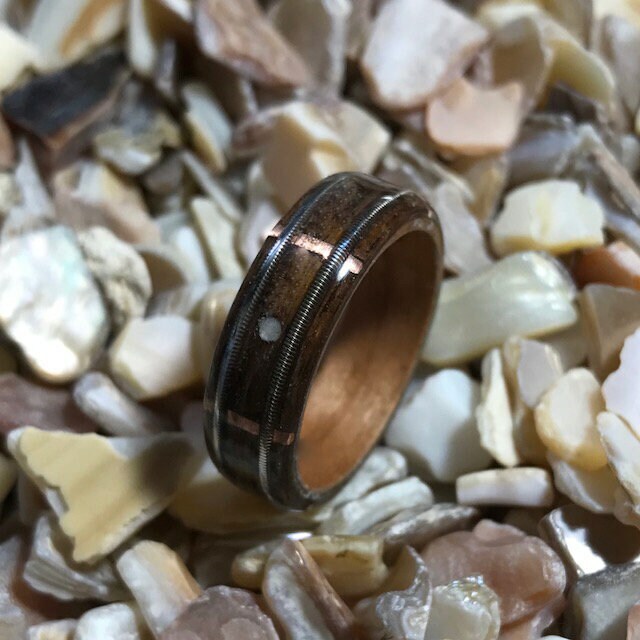 The wood is then encased in a strong UV resin acrylate, making a waterproof and scratch resistant and ready for daily wear! Turn around time on a ring is 7-10 days. All rings ship for free in the United States. All orders will ship between 3-5 days of ordering. Any additional taxes or tariffs on international orders are the responsibility of the buyer. If a ring is damaged in transit it can be returned for a full refund, we, however. 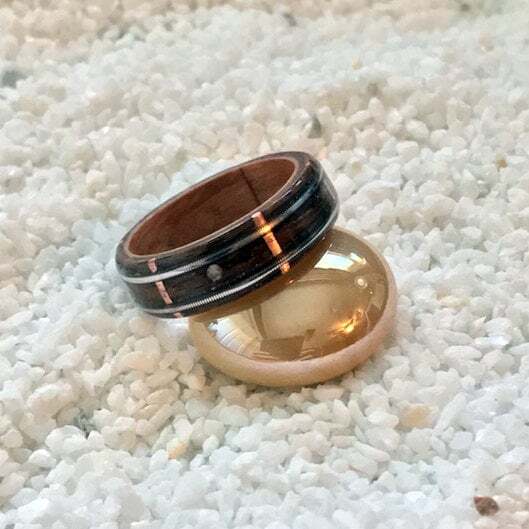 cannot accept returns on rings with a misstated size from the buyer.